The all-new Weed Eater WE10T electric string trimmer is compact, lightweight, easy to start, and easy to use. With a 2.7 amp motor, it's perfect for light-duty trimming of weeds and grass. It features simple, intuitive controls and a push-button start, so it powers up instantly - with no pull cords, gas, oil, or fumes. And the generous 10-inch cutting path and automatic trimmer line feeding make for fast, efficient, effortless, hassle-free trimming. The ECHO 58V Cordless String Trimmer offers an exceptionally advanced, professional-grade, highVage cordless design. Featuring a unique brushless motor delivering superior power, run time and durability, the ECHO String Trimmer can handle even the thickest grass. Equipped with a variable speed trigger, high/low speed switch and a 14-inch to 16-inch adjustable cutting swath, it gives you the power to choose between more aggressive cutting and extended run time. With the revolutionary ECHO Speed-Feed 400, line advancement and refilling is quick and easy. The String Trimmer is backed by an industry-leading 90-day money-back guarantee, a 5-year consumer warranty and a 2-year commercial warranty. All the power of gas, without the noise, fuss and fumes -- now with the Rapid Reload Head for even greater convenience. The 15-Inch cutting swath, Bump-Head line advancement and professional-grade 0.0.95 In. cutting line make quick word of yard clean ups. Compatible with all Arc Lithium batteries for Power Beyond Belief. 2.7 Amp Electric Corded String Trimmer 10 inch, WE10T The all-new Weed Eater WE10T electric string trimmer is compact, lightweight, easy to start, and easy to use. With a 2.7 amp motor, it's perfect for light-duty trimming of weeds and grass. It features simple, intuitive controls and a push-button start, so it powers up instantly - with no pull cords, gas, oil, or fumes. And the generous 10-inch cutting path and automatic trimmer line feeding make for fast, efficient, effortless, hassle-free trimming. 2.7 Amp Electric Corded String Trimmer 10 inch, WE10T is rated 4.1 out of 5 by 14. Rated 3 out of 5 by Maryann from This is the third one of these I have had. They are light and easy to use. But this one is givin... This is the third one of these I have had. They are light and easy to use. But this one is giving me trouble with the string. I want to try it a couple of more times before I give up. Rated 1 out of 5 by Emi from You get what you pay for! This thing kept jamming up, so I returned it after the 1st use. You get what you pay for! This thing kept jamming up, so I returned it after the 1st use. Rated 5 out of 5 by Torilee77 from We bought it for our 8 year old son as a starter .... He loves it. Works great. We bought it for our 8 year old son as a starter .... He loves it. Works great. 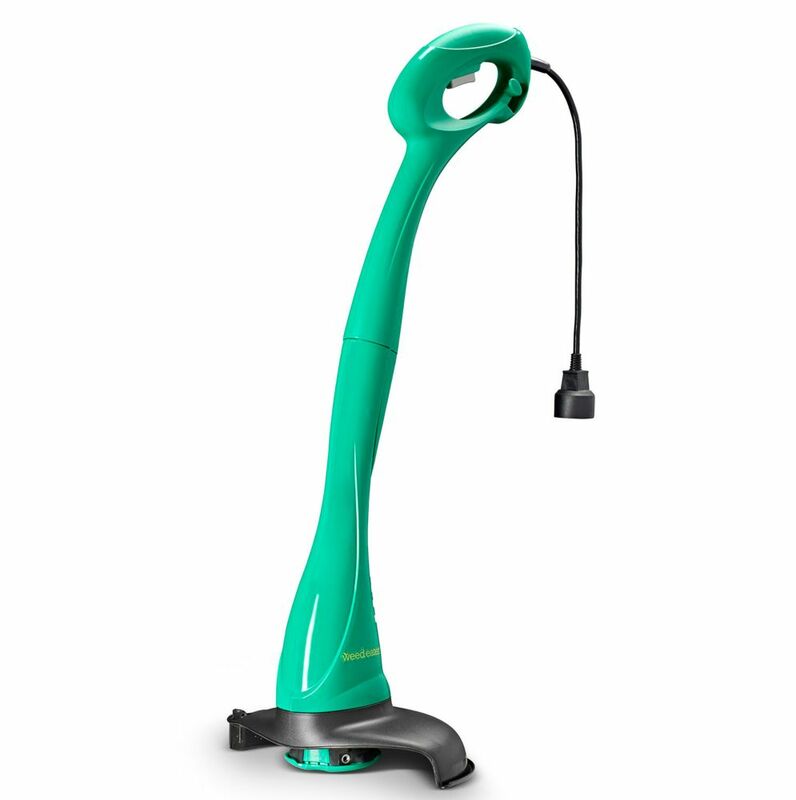 Rated 5 out of 5 by chrissy27 from Great Lightweight Trimmer Love this trimmer. It is lightweight and easy to start! It is just what I needed for my small yard. Thanks Weed Eater!